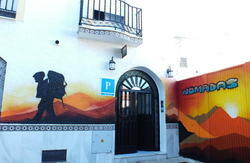 We are, without any doubt, the best located hostel in the city, right in the heart of Malaga. In just few minutes walk from our hostel, you can find the main monuments and tourist attractions such as the cathedral, the Alcazaba, Picaso museum, Gibralfaroâ€™s castle, the famous Pimpi restaurant or the well known Larios Street. We are just one step away from the most renowned bars and restaurants, as also from all kind of shops, museums, supermarkets, etc. Among the most outstanding facilities and services we provide, there is free internet wifi connection, a computers room, a reading room, a fully equipped shared kitchen, two patios where to relax and enjoy the MÃ¡laga night, and of course, the best animated bar where to tasted incredible cocktails and where to make every minute a moment to remember. Regarding to atmosphere and security, all rooms have electronic magnetized coded keys, there are security cameras in all the hostel, free big size individual lockers for every customer, and a reception service 24 hours open. We differentiate ourselves from others, as you can observe in our comments and ratings, in our excellent cleanliness, our remodeled facilities and our cheerful and helpful staff. Our highly skilled staff will help you in everything you may need during your stay at Feel City Center. They will guide you by the city by giving you all the needed information, telling you the best place to visit, where to have the best and tasty Malaga drink and food and showing you the broad leisure possibilities that Malaga has to offer to its visitors. On top of all this, Feel City Center has the most enjoyable activities such as our free guide tours, our pub crawl, the board games competitions, the movie nights, karaoke or varied thematic nights. So, better you dont hesitate. 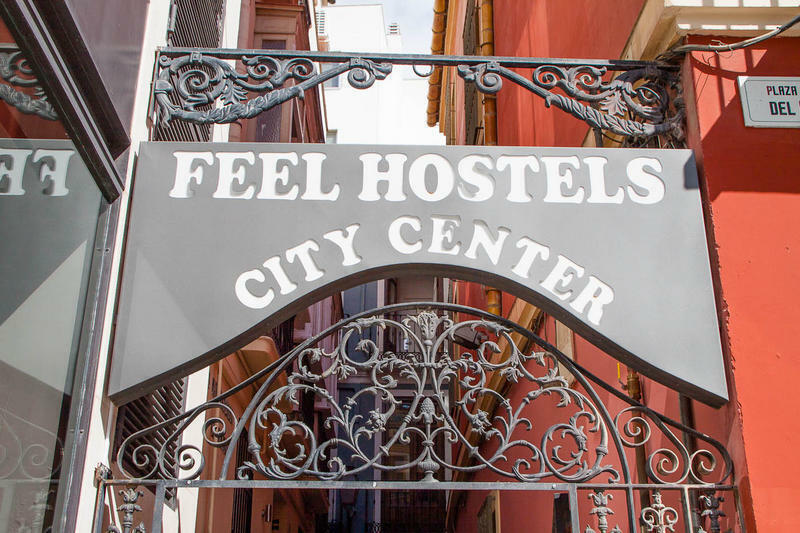 If you want to enjoy Malaga city, the best companion, a pleasant place where to stay and feel like home, Feel Hostel City Center is your best option. We pride ourselves in our attention to detail, clean and fun environment we provide for all our guests at great value for money. Have fun, meet other people. 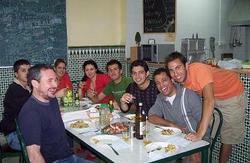 Enjoy our bar happy hours, the paella nighs in feel hostels city center. The hostel includes free bed linen premade, blankets and security lockers, as well as wifi and computers with internet access. 24 hour reception. Staff always on shift. Logged and coded keycard door access. Free linen and beds which are premade. Group meal menus and packed lunches available. Bar and late night lounge areas. Large selection of rooms including double, twin and dormitory rooms. Group and individual luggage store. Towels may be rented at our 24 hours reception. Look for Alameda Principal Street, cross sidewalk in Alameda Principal go straight until you will pass a Burger King and McDonalds after this turn left into 'Calle Molina Lario'. Al the left side, between Marianos Restaurant very big restaurant in the square and Pronovias store there is small entrance call Concejal Agustan Moreno n. 1. We are there! - Take the express-bus A into the city (25 min. ride). Leave the bus at the stop Paseo del parque. Cross, to the cathedral sidewalk. Al the left side, between Marianos Restaurant very big restaurant in the square and Pronovias store there is small entrance call Concejal Agustan Moreno N.1. We are there! - Take the express-bus into the city (25 min. ride). - Head towards street Paseo de los Tilosa in front of the bus and train-station. Pass Plaza de la Solidaridad into Callejones del Perchela. Cross sidewalk in Alameda Principal go straight until you will pass a Burger King and Mcdonalds after this turn left into 'Calle Molina Lario'. Al the left side, between Marianos Restaurant very big restaurant in the square and Pronovias store there is small entrance call Concejal Agustan Moreno n 1. We are there!